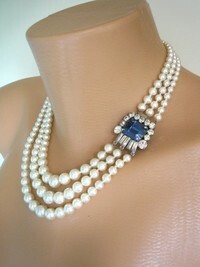 Exquisite vintage ivory white pearl necklace made from 3 strands of high quality ivory white graduated pearls. 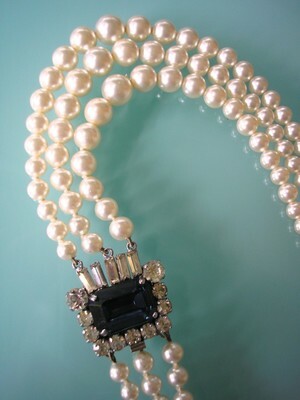 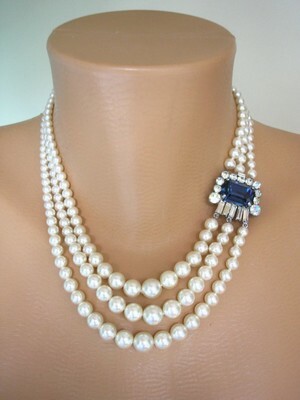 The pearls are secured by a fabulous Art Deco style montana sapphire blue rhinestone box clasp which doubles as a focal pendant. 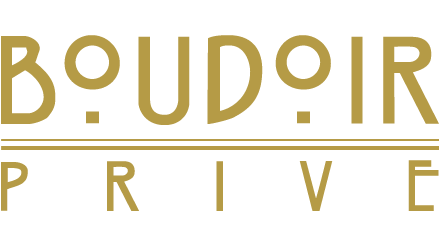 The shortest strand of pearls measures approximately 17 inches (43cms) in length. 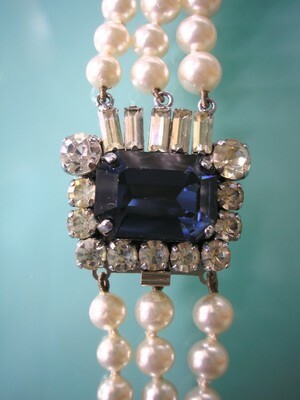 This vintage piece is in very good condition, but does have some slight dulling to the clear rhinestones. There are also some minute flea bites to the Montana stone and nicks to the pearl nacre on pearls next to the clasp, but these are not noticeable when worn.